Shoot Of Kapil Sharma's New Show Was Cancelled. 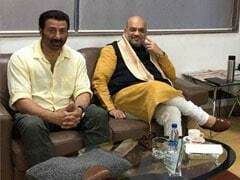 Is Sunil Grover The Reason? Kapil Sharma has not even launched his new show Family Time With Kapil Sharma and he reportedly had to cancel the shoot of an episode. Kapil was reportedly to shoot his debut episode on Monday and meet the press in a launch event of sorts on Tuesday - both of which were called off by the show's team. Now, why is that? Several reports are stating that Kapil's recent war of words with his ex-colleague Sunil Grover may be the reason which led to the rescheduling but a statement released by the channel cites the reason to be a technical glitch on the sets. While it was also being reported that Baaghi 2 co-stars Tiger Shroff and Disha Patani were expected to join on the sets for the cancelled shoot, a source close to the show host told Indian Express that it was for the launch episode and no celebrity was scheduled to be part of it. The comedian has a reputation for having cancelled shoots for The Kapil Sharma Show, including episodes that were supposed to have guests like Arjun Kapoor, Anil Kapoor, Shah Rukh Khan and Ajay Devgn. "It's so sad that even before the show could hit the tube, people are trying to tarnish Kapil's image. He did have a battle of words with Sunil but that was not the reason for the launch being cancelled," the source told Indian Express. "The newly made sets had a technical issue and so we had to cancel the shoot and couldn't even host the media the next day. We currently do not have a bank of episodes and as soon as the problem got resolved we were back on the sets filming," the source added. Meanwhile, this is how the channel apologised on behalf of the show, as quoted by Times Of India: "There has been a technical issue on the sets which cannot be resolved immediately. Hence, today's shoot had to be rescheduled. The press conference has also been rescheduled. We will update you on the revised dates. We apologize for any inconvenience caused." 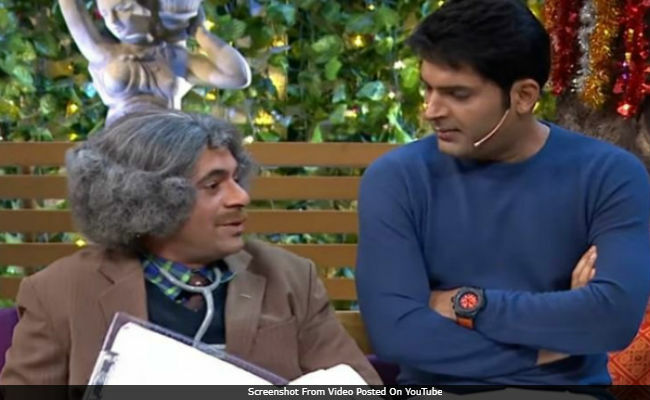 Just days before, former colleagues and warring comedians Kapil Sharma and Sunil Grover were spotted having a snarky Twitter exchange - Sunil complained to never have been invited to Kapil's new show while the latter said his repeated calls to Sunil went unanswered. The Sunil Grover-Kapil Sharma fight was resumed after Mr Grover tweeted to clarify to a certain section of fans that he's not part of The Family Show With Kapil Sharma. Don't want his support .. but at least he should not spread rumors.. m tired of all this. Kapil Sharma and Sunil Grover had a fall-out after Mr Sharma was accused of physically assaulting and verbally abusing his co-star on a flight back from Australia last year. Sunil, who had previously shared the stage with Kapil in Comedy Nights With Kapil quit The Kapil Sharma Show, which then witnessed a sharp dip in TRP ratings. After the channel pulled the plug on Kapil's show, he reportedly resorted to alcoholism and was admitted to a rehab. Kapil Sharma's new show is expected to debut by the end of this month.